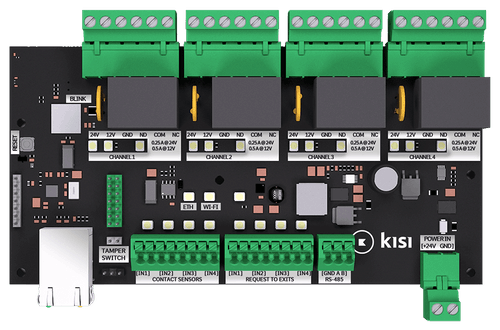 The Kisi Controller Pro 1.1 connects up to four doors, elevators or turnstiles to the Kisi cloud. Review real-time access logs to stay on top of what’s happening at your spaces. The future is at your doorstep. 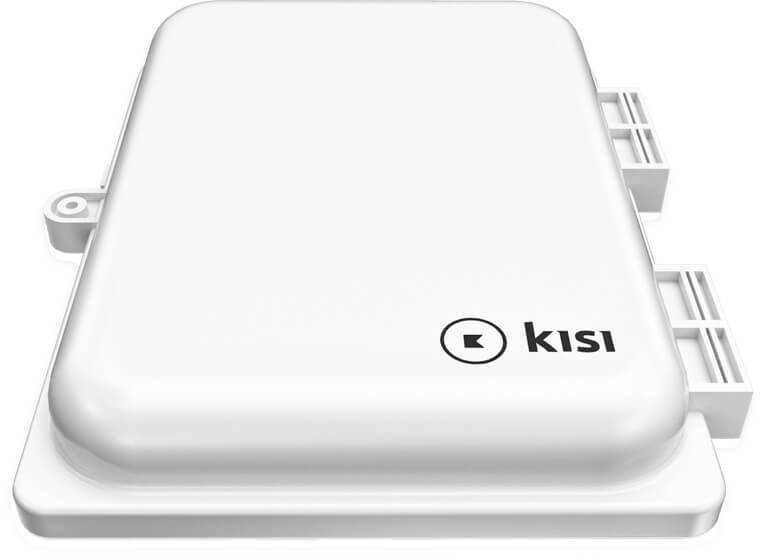 All equipment is made in the U.S. and encrypted in Kisi’s security lab. No third-party SDK’s are used for credentials or readers. We guarantee end-to-end encryption and are proud to support American-made products. Stays alert, so you don’t have to. 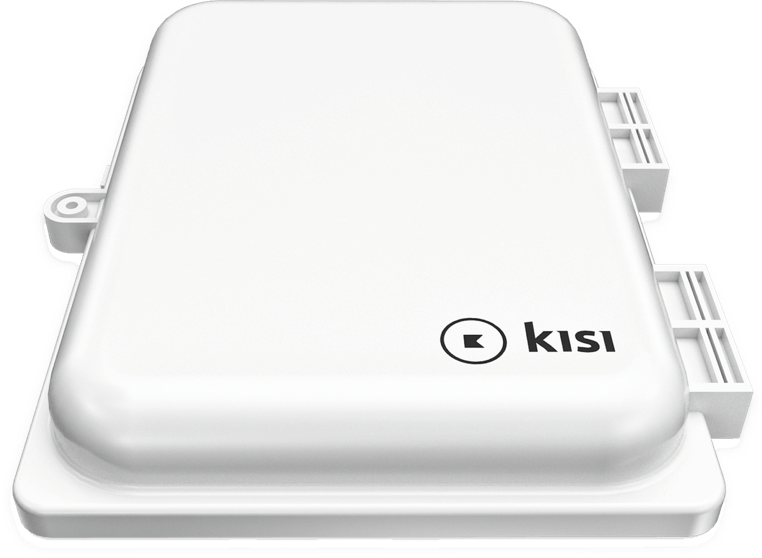 Connect up to four doors or windows to the contact sensors on your Kisi controller and let Kisi warn you when doors or windows are opened by unwanted visitors. 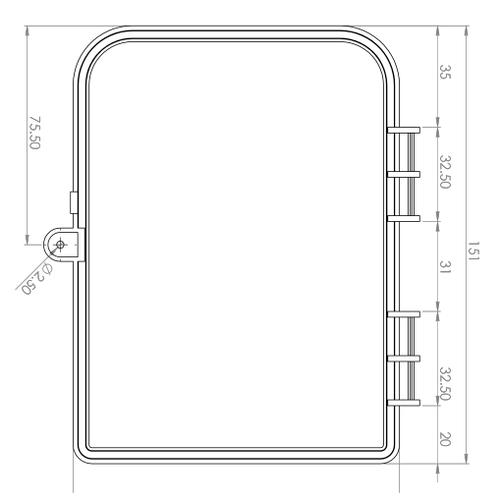 Connecting doors has never been easier. Connect up to four exit buttons, or proximity sensors, to track when visitors leave your spaces. 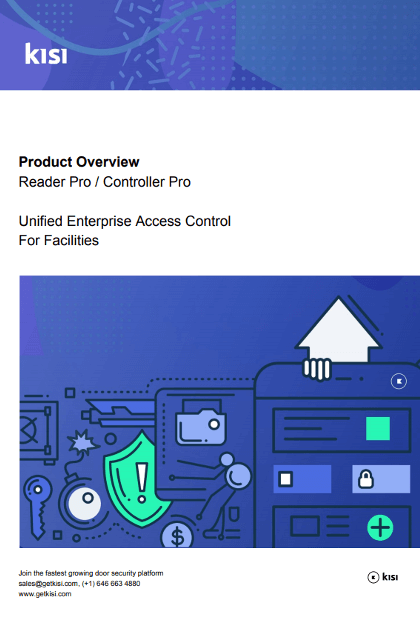 The controller can also be configured to unlock doors, when triggered, for convenience. From Wi-Fi to ethernet and vice versa. Install once and do the complex wiring in the cloud, instead. 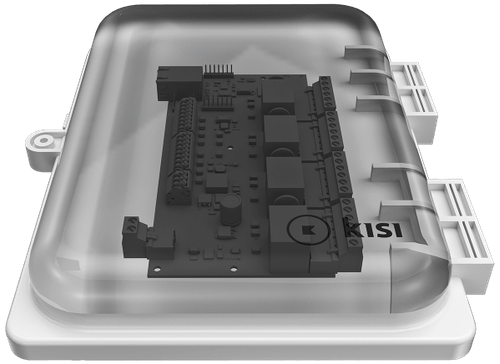 Built-in power outputs to supply power to electric strikes. 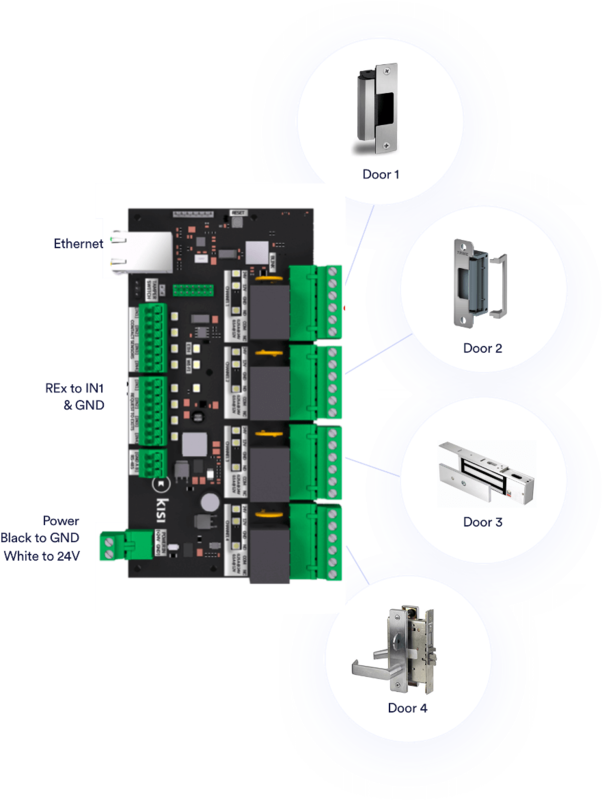 Cloud-configurable access schedules to keep your doors open. Tamper protection to ensure physical integrity of the system.